Medical malpractice insurance is a vital aspect of any medical practice. Medical insurance can force a physician to close their practice or cause a group to part ways. The fact of the matter is health care providers are confronted with law suits. Unfortunately because of the level of specialized care you are required to provide to those in need, you become an easy target for medical malpractice claims. This makes the need for reliable and comprehensive coverage even more important. 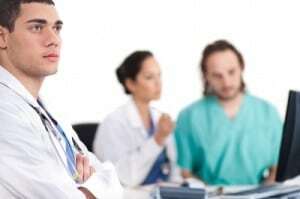 The cause of rapidly raising medical malpractice insurance premiums is a very unsettled subject. Malpractice insurance problems varies across communities, some physicians are even changing how and where they care for their patients. Instead of treating patients in their office, more and more are referring patients to emergency departments. Many physicians in high risk specialties are not willing to provide emergency department on-call coverage because of the liability concerns. At V.W. Gould Agency we understand the importance and complexities of this intricate line of insurance. We will do our best to analyze your business and line of practice and give you an honest assessment of your options. We work hard to assist you in managing risk and communicating medical practice and procedure changes to underwriting so that your medical malpractice, and professional liability insurance needs are met. With competitive commercial insurance markets the representatives at Gould are ready to assist you with any and all of your business insurance needs.